With Third Party Shipping available on request throughout the United States, Bahamas and Caribbean Islands. 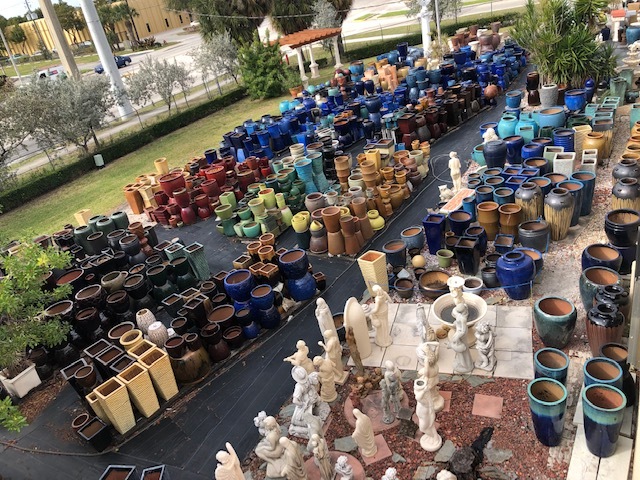 At Artistic Statuary we deliver and install fountains, cast stone columns, concrete planters and more across South Florida. With our own delivery truck and crew we can install the outdoor garden fountain you just purchased from us or delivery and place your new bronze statue or glazed ceramic pottery. Within these local areas we’re able to provide affordable delivery and installation for a massive architectural home building project. We take pride and responsibility in all the fountains that we install. For that reason our expert crew only installs fountains you’ve purchased from us. This way if something goes wrong or breaks while we’re setting up your fountain, we can get it fixed and sorted out for you ASAP, If you see a fountain on a large retailers website chances are we sell you that exact fountain for the same price or cheaper. Our fountain would come delivered and installed for that price. Compared to the big online fountain that comes drop shipped on a pallet. If you are looking for shipping we can help there too. We can arrange a freight quote or fill up your container with a few pallets. Either way we pack tight and shrink wrap everything we send. This way your brand new cast stone planters won’t be chipped up on arrival and will be ready for greenery.